What would you say if I told you that a new series of phones is coming out that can get you some pretty top specs, while keeping the pricing around $300 off contract? Would you be intrigued? That's exactly what BLU Products is doing with its upcoming lineup of Quattro phones. If you haven't heard of BLU before now, let me give you a brief intro: this is a company to keep an eye on, because they're putting out some beautiful hardware while keeping the prices extremely affordable. Like most carrier-free manufacturers, they focus on quad-band GSM devices – the Quattro series is no exception. Every device in the Quattro line has two things in common: they're all packing a 1.5GHz quad-core NVIDIA Tegra 3 chip and Android 4.0. Don't sweat the Android version, though – they're already slated to get Jelly Bean. As the lowest-end device of the Quattro collection, the 4.5 isn't going to blow your mind. But for a meager $250, it packs a 4.5" qHD display and a gig of RAM, along with a 5MP rear shooter, 4GB of storage, and a microSD card slot. The best part – it's actually pretty sleek looking. That's some good value right there. Like the sound of the 4.5, but want something a little more high-end? Look no further than the 4.5 HD. It packs a 326ppi HD display wrapped in Corning Gorilla Glass, an f/2.4 8MP rear shooter, 16GB of internal storage, and 1GB of RAM. The price? $350. No contract. That's hard to beat. Maybe you're into the larger-sized phones. Say hello to the 5.7 HD, which, as its name suggest, packs a massive 5.7" 1280x720 display. Aside from that, the 5.7 HD has 4GB of storage, a microSD card slot, 1GB RAM, and an 8MP rear shooter. You'll be able to land this bad boy for an impressive $300. So, when can you get 'em? The Quattro 4.5 and 4.5 HD will both be available "the first week of February through various websites in the U.S." The 5.7 HD, however, won't be hitting the virtual streets until the end of March – also through various U.S. retailers. 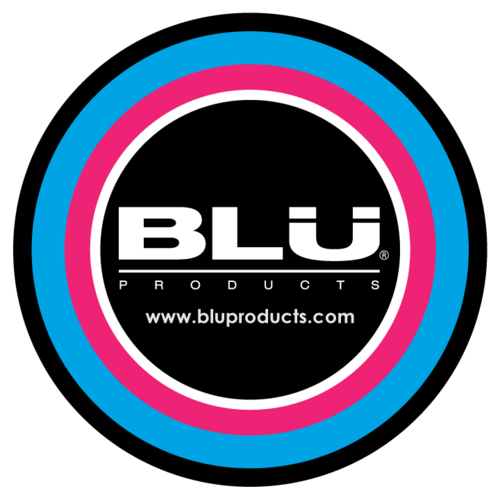 MIAMI, Feb. 1, 2013 /PRNewswire/ -- BLU Products, one of the fastest growing mobile phone manufacturers in the world, announced the new Quattro Series of smartphone devices, all powered by the NVIDIA® Tegra® 3 1.5 GHz quad-core processor with a fifth battery saver core. The Quattro Series will deliver flagship smartphone performance with console-quality gaming, amazing graphics, speedy applications and fast multitasking. Quattro Series devices will run on Android 4.0 Ice Cream Sandwich with a planned upgrade to Android 4.1 Jelly Bean. Connectivity for all Quattro Series devices will include quad-band GSM and penta-band 21Mbps HSPA+, including 1700MHz AWS for the US, as the company tries to capitalize on the increased demand for high performance unlocked smartphones in the US. The Quattro 4.5 HD features a stunning aluminum and glass unibody resulting in an exceptional build quality and luxurious design. Photos and videos come to life with spectacular clarity and rich, natural color on the vivid Advanced Super View 4.5-inch HD 326ppi display, resulting in unparalleled viewing angles and contrast ratio, all protected with marvelously curved scratch resistant Corning® Gorilla® Glass. Additionally, the Quattro 4.5 HD delivers excellent image capture quality even in adverse conditions such as low light, no light with an 8 megapixel camera featuring an f/2.4 large aperture lens, plus HD video recording up to 1080p, along with 16GB internal memory and 1GB RAM. The Quattro 4.5 HD will be available the first week of February at $349.99 retail unlocked through various websites in the US. The Quattro 4.5 features the most affordable price point in the industry today for flagship quad-core smartphone performance. The Quattro 4.5 includes a 4.5-inch qHD display, 5.0 megapixel autofocus camera, HD video recording up to 1080p, along with 4GB internal memory, expandable up to 32GB with an external memory card, and 1GB RAM. The Quattro 4.5 will be available the first week of February at $249.99 retail unlocked through various websites in the US. The Quattro 5.7 HD combines the functionality of a tablet with smartphone portability, highlighted by the captivating 5.7 inch, 1280 x 720 HD display, an 8 megapixel camera, plus HD video recording up to 1080p, along with 4GB internal memory, expandable to 32GB with external memory card, and 1GB RAM. 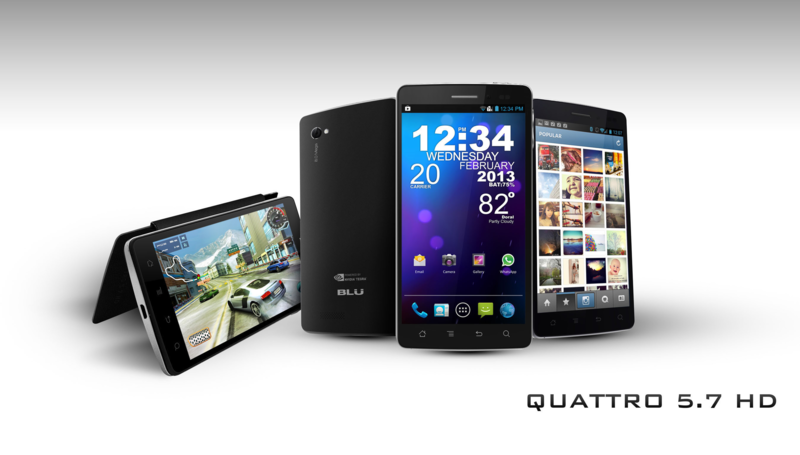 The Quattro 5.7 HD will be available at the end of March at $299.99 retail unlocked through various websites in the US.